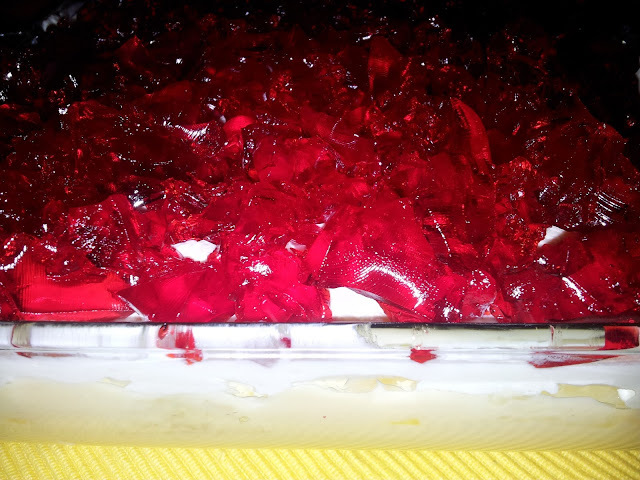 This is a simple and awesome dessert........A delightful variety of fruit bites tossed into a bed of vanilla custard covered with whipped cream and top it with thick broken bits of strawberry flavored jelly. I made this cake a month ago - did not post it here. Love it so so much that I kept it for the 100th follower of A Portion to Share. 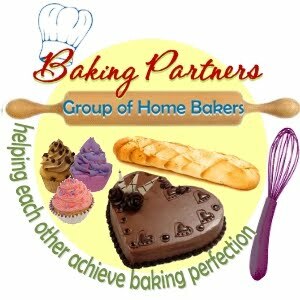 And this goes out to Anita of Recipe with pictures......an interesting space filled with tested and tried recipes. This is a very light and spongy cake from Joy of Baking............. so well described in the video and the post as well. I'm not repeating the recipe here ,because I have followed the JOB recipe word to word. Great cake...must try ! A bialy is often described as a bread flatter than a bagel with an indentation - not a hole - on the top, that is generally filled with onions and any other filling of your choice.It is crisper and denser than a bagel and when toasted, is crunchy.